Are you interested in learning about Polyurea? Ever heard of Polyurea? We would be happy to provide a free 1 PDH/CEU to you & your employees for the opportunity to inform them in a non-proprietary way about Polyurea. Learn about the basics and its general uses. 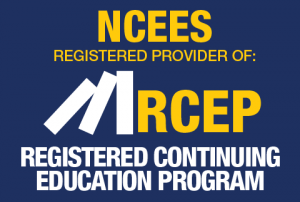 VersaFlex Incorporated is a Registered Continuing Education Provider (RCEP). VersaFlex Incorporated has met the standards & requirements of the Registered Continuing Education Program. Credit earned in completion of this program will be reported to RCEP. A certificate of completion will be issued to each participant. As such, it does not include content that may be deemed or construed to be an approval or endorsement of NCEES RCEP. Have You Already Taken a VersaFlex PDH Class? Looking for the PDH Credit Submission Form? Thank you. Great presentation. Very useful and informative. The courses are also great way for inspectors, specifiers and engineers to get familiar with the benefits and advantages of this emerging technology, whilst fulfilling their continuing education requirements and allowing them to learn how to save time and money! It is well worth the investment!! Thanks Sharon. You all did a great job with this long class. Food was great! You have such a family atmosphere at Versa Flex. I’ll be calling you soon for an order.